Then a dragon falls from the sky to the town square, dead -- the first glimpse of an outside world that has become nothing more than a fairy tale to Hutton’s Bridge. Except to Tressa. Tressa is a feisty character due to the events that have shaped her life thus far. She is orphaned at a young age and raised by her grandmother, who seems kindly and yet insists that three people enter the fog each year, most certainly to face death. Tressa experiences another disappointment when the young man she falls in love with, Bastian, is forced to marry another woman. With nothing to lose except her own life, Tressa becomes determined to unravel the mystery of the fog. Though married and a father, Bastian continues to love Tressa and decides to enter the fog with her, along with their friend Connor. I could really feel the eerie, atmospheric gloom of the fog in Hidden. I couldn’t wait to uncover its mysteries. Why was the fog there in the first place? What happened to those who entered the fog? Would it be possible to bring down the fog and free the residents of Hutton’s Bridge? Or would freeing them bring even more danger into their lives? Many of these questions are answered, and yet many mysteries remain as readers head into Book 2. There were just enough answers to leave the reader satisfied and yet enough mysteries remaining to guarantee a rush to read Book 2. 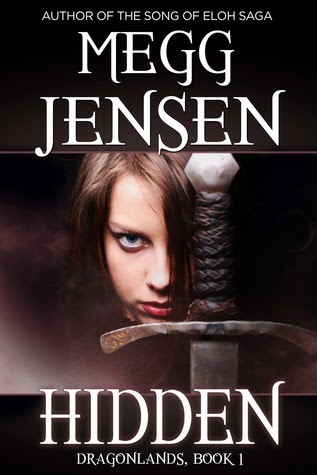 With dragons, battles, an evil queen, a spunky heroine and more, Hidden is exciting and enchanting. I’m excited to learn more about Tressa and Bastian’s fate, as well as that of the citizens of Hutton’s Bridge. Will their freedom come with too big a price? Disclosure: The author gave me this copy in exchange for a fair and honest review. This post contains my Amazon affiliate link. Join the Daughters of the Nile Facebook Party! Announcing the Launch of Austen Variations!